I feel a little bit bad getting you started on Buckethead, simply because the man redefines the word "prolific." How can I tell? "Electric Sea" is his thirty-fifth album. I mean, seriously, the man must be recording all the time. That said, you'll probably end up finding you like a branch of Buckethead's material and are significantly less interested in another. I'm the same way - I love about a third of Buckethead's stuff, I can go either way with a third of it and a third of it only appeals to me when I'm in a very, very specific mood. 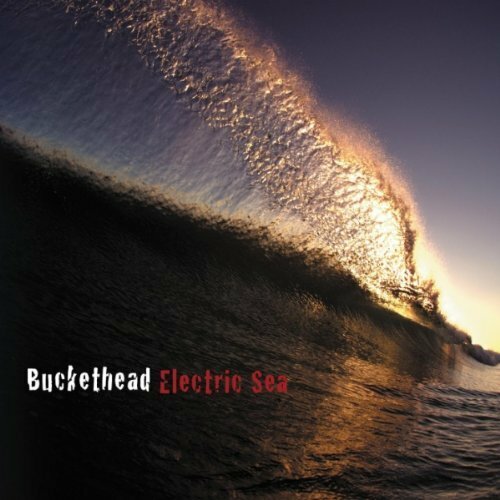 The Buckethead stuff that I think appeals to the widest swath of people is, by my reckoning, the following records: "Electric Tears," "Population Override," "A Real Diamond In The Rough," "Shadows Between The Sky," "Captain EO's Voyage" and "Electric Sea." These albums are also generally the least "heavy." See, here's the thing about Buckethead - the guy is a guitar genius, and he experiments a lot. So there's no guarantee from album to album that anything will sound even vaguely the same. Sometimes he's doing acoustic soundscapes. Sometimes he's doing thrasher metal. Sometimes he's doing wobbly funk guitar. Sometimes he plays in Guns'n'Roses. He can literally do anything he wants to with a guitar. I saw him live a few years back in Santa Cruz and it was a crazy show, and he wandered through a dozen different styles during that concert.